Student living in the heart of Sheffield, Redvers Tower is your ticket to your most ultimate year yet. We have a wide variety of rooms for you to choose from, and there is one for every type of student. From en-suite rooms in shared apartments (with shared living room and kitchen space) to your own studio. Our en-suite studios include everything you need, from a comfy bed to a fully-equipped mini-fitted kitchen. You really can have uit all living here. There is an on-site gym, loads of social areas with games equipment, a cinema room and a dedicated site team who plan regular social activities. There's no excuse to be bored living here! 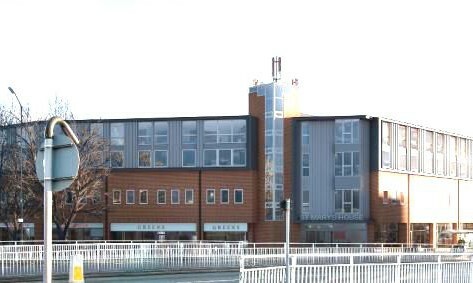 Redvers Tower is conveniently located a short walk from Sheffield Hallam University, as well as the train station and city centre. 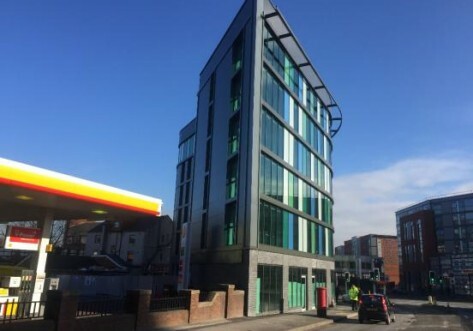 In the heart of the city centre, next to Sheffield Hallam University and just 10 minutes from Sheffield University, welcome to a new standard of rented living. By designing around your needs, Make Space have created exceptional spaces with special features you won't find anywhere else. Whether you're relaxing on your full-size double bed, getting creative in your fully fitted integrated kitchen or entertaining friends in your lounge area, your apartment has all the space and comforts you need to feel at home. Self-contained studio living starts here. Enjoy a comfy bed, en-suite shower room, storage, study area and fitted kitchen – we don’t charge extra for couples wanting to share. Self-contained studio living starts here. Enjoy a comfy bed, en-suite shower room, storage, study area and fitted kitchen – we don’t charge extra for couples wanting to share. Great views of the Peak District or city! Shared living just got awesome. With a state of the art communal kitchen and stylish social space, as well as a cosy bedroom and en-suite shower room, you’ll have everything you need. Bigger than our Bronze Classic Studios, self-contained studio living starts here. Enjoy a comfy bed, en-suite shower room, storage, study area and fitted kitchen – we don’t charge extra for couples wanting to share. Penthouse living comes with a cracking view. 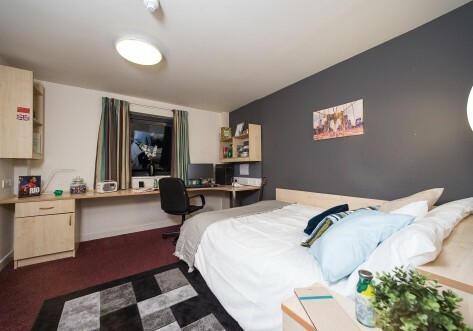 Enjoy a studio with comfy bed, en-suite shower room, storage, study area and fitted kitchen – we don’t charge extra for couples wanting to share. Bigger than our Gold 2 Bed Apartment. Shared living just got awesome. With a state of the art communal kitchen and stylish social space, as well as a cosy bedroom and en-suite shower room, you’ll have everything you need. Bigger than the Bronze Cityspace Apartment, self-contained studio living starts here. Enjoy a comfy bed, en-suite shower room, storage, study area and fitted kitchen – we don’t charge extra for couples wanting to share. Great views of the Peak District or city! Bigger than our Silver Classic Studios, self-contained studio living starts here. Enjoy a comfy bed, en-suite shower room, storage, study area and fitted kitchen – we don’t charge extra for couples wanting to share. Penthouse living comes with a cracking view. Bigger than our Bronze Penthouse, enjoy a studio with comfy bed, en-suite shower room, storage, study area and fitted kitchen – we don’t charge extra for couples wanting to share. Bigger than the Silver Cityspace Apartment, self-contained studio living starts here. Enjoy a comfy bed, en-suite shower room, storage, study area and fitted kitchen – we don’t charge extra for couples wanting to share. Great views of the Peak District or city! Penthouse living comes with a cracking view. 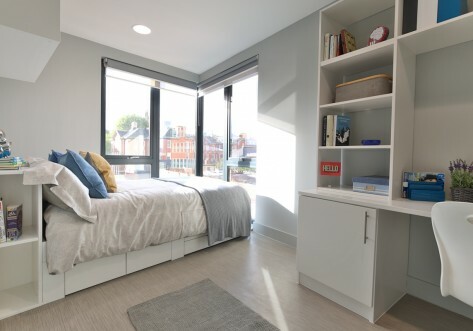 Bigger than our Silver Penthouse, enjoy a studio with comfy bed, en-suite shower room, storage, study area and fitted kitchen – we don’t charge extra for couples wanting to share. Higher up than the Gold Cityspace Apartment, self-contained studio living starts here. Enjoy a comfy bed, en-suite shower room, storage, study area and fitted kitchen – we don’t charge extra for couples wanting to share. Great views of the Peak District or city! Bigger than our Gold Cityspace Apartment, self-contained studio living starts here. Enjoy a comfy bed, en-suite shower room, storage, study area and fitted kitchen – we don’t charge extra for couples wanting to share. Great views of the Peak District or city!